День Святого Валентина - день, коли любов відчувається навіть у повітрі. 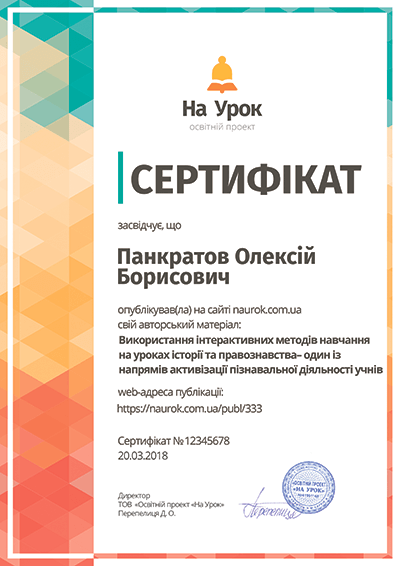 Захід орієнтований для 10-11 класів. Інтелектуально-розважальна програма має 5 етапів: вибір нікнейму для гри+самопрезентація, міні-тест про День Валентина по всьому світу, аудіо-завдання з пошуком і підрахуванням конкретного слова, танцювальні стільці з додатковими бонусними запитаннями та відео-конкурс із передбаченням події зі сценами із романтичних фільмів. Мета: поглибити і розширити знання з теми «Saint Valentine`s day», познайомити учнів з цікавими традиціями свята, виховувати інтерес до вивчення англійської мови, розвивати та вдосконалювати навички аудіювання та говоріння. Ladies and gentlemen, we are glad to see all of you here! Today we have a very romantic meeting, because it is Saint Valentine`s Day! My congratulations to all of you! So let us start topical entertainment «Love is in the air» I hope this holiday will give you a lot of new information about interesting traditions for love celebrations all over the world! We have very clever participants as all you can see. And I propose to start our love party from new names. Choose it! Please write down your new name on the paperheart and put it at your desk. Now your task is to introduce yourself with your new names and some phrases. We`ll give you some minutes to prepare some notes. During this time we have a little competitions. I invite three students here using the lottery. So, № … and №…. Do you want to get a candy? I think yes. So, give us 5 romantic compliments. Now it`s time to listen to our guests. You`ll get marks for your answers, 5 is for the best result and 1-is for the worstone! (Students present theirselves) The second our part will be about Saint Valentine`s traditions all around the world. You have some paper hearts. Write down your game nickname on each one. I ask you a question and, you must write down the answer on paperheart. There are 5 tests. 1.In what country Saint Valentine`s Day is a holiday for adults only. And a symbol of this celebration here is chocolate pig. 2.In what country do women present chocolate to men for Valentine`s Day and the month later, on White day men return candies for them? 3)In what country do lovers exchange hazelnut chocolates and kisses? 4)In what country Saint Valentine`s day is an official day of love and friendship? 5)In what country Saint Valentine`s Day is called Qixi Festival? I hope it was interesting for you to know such Valentine traditions. So, it`s time to take your paper heart with your answers. What are your ideas about the number? (32) And we can move on. Our next stop is “Dancing chairs”. You`ll move around the chairs during the music is playing. When the music is stopped you have to sit on the chair, but if you have a piece of paper on it, you`ll read and try to answer. If you are wright you have + 1 point. The person who has no a chair finish the participations with result of 1 point. I hope, you liked this romantic films very much. And I am sure these videos showed real love feelings and emotions. Don`t be afraid to express yourself. At last or unfortunately our Loveparty is over and it`s time to get our results.